Hey Yall! I hope you all had a fabulous Easter! The family and I kept it local, at home, avoiding the madness at church due to overcrowding and stayed away from packed out restaurants. Everyone makes sure to make their way to church on Resurrection Sunday. Me, on the other hand, watched church online in the quietness of my home, and the girls and Mr. M whipped up a nice Sunday dinner. Influenster must have heard my cries and complaints of their company giving me Dud Boxes because this Influenster box I received has been a real hit! I mean, I will be a repeat customer of this product I've been testing. The mess was happening at the old place I was renting, and I discovered the disaster of a mess when I was moving out. Do you know how much of a pain that was to clean up? My goodness! You'd think I had a fight with bareMinerals. So, that resorted me to finding a new foundation, back to liquid. First, I tried Sephora's brand Makeup Forever HD foundation. To me, the foundation was good, nice full coverage, however, the color match wasn't the best. Exploring Sephora again, I came across Becca's Matte Foundation. It was the closest match I could find giving me the smooth, full coverage I'm looking for, and makeup lasting all day even on hot days. But what I noticed was missing is Becca's finishing powder, I couldn't find one, so I used bareMineral's powder until I can find something to set my makeup. 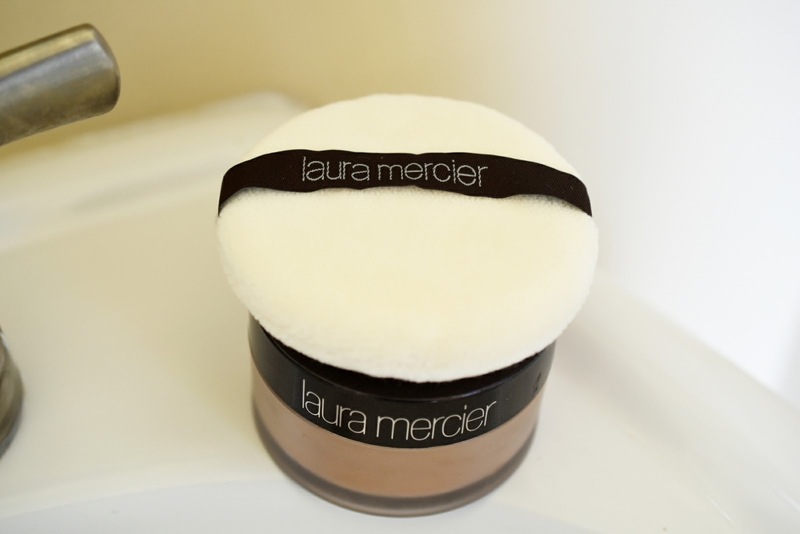 Influenster selected me to try Translucent Loose Setting Powder from Laura Mercier, the medium deep shade. I've tried Laura Mercier brand before, which was okay, a bronze powder that gives makeup a shimmery golden tone as if my skin was sun kissed. The bronze powder works great during the spring and summer months when you're headed off to the beach. But I didn't want that glow for an everyday look, like running errands, or attending the girls' extracurricular activities. 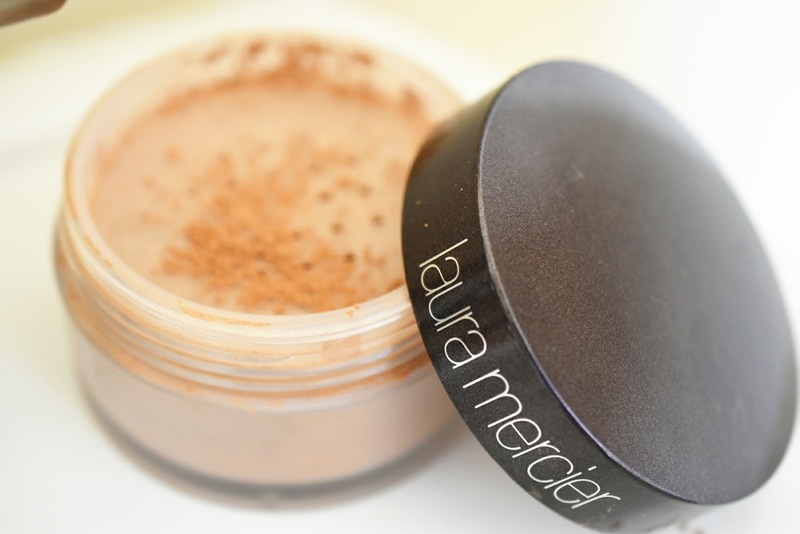 The Laura Mercier (TLSP) that was in my Influenster box sets makeup for a long-lasting wear without adding weight or texture. This #1 setting powder at Sephora creates a matte finish with a touch of sheer coverage. I know what you're thinking, isn't this a loose powder that creates a mess in the bathroom? Yes, it's a loose powder I've been trying to avoid using, but this setting powder is not as messy, and it sets my Becca makeup extremely well giving me long-lasting, more natural look all day. 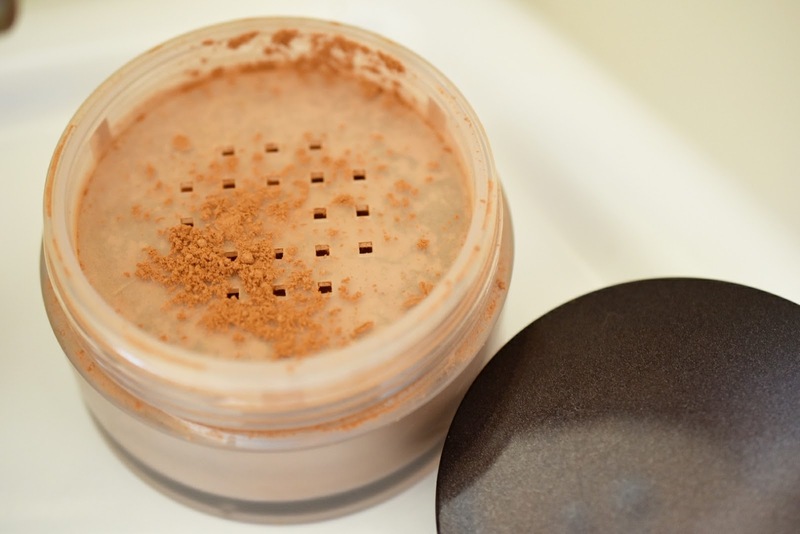 This is the setting powder I wore during my spring break trip, and I didn't need to freshen up my makeup as the day went along, only pat my nose to remove excess oil here and there. The Laura Mercier TLSP doesn't disturb the foundation color the translucent setting powder gives a bit of a hint of color. Thanks Influesnter for this fabulous discovery! Disclosure: I was provided this product free, as always, my thoughts and opinions are my own. Anything beyond lip gloss, eyeliner, eye shadow, and mascara has me at a loss. I don't know how you do the whole face makeup thing, but it definitely looks good on you. Have you ever considered doing some video tutorials? I would definitely be your main viewer because I need to do something about these dark spots and acne that I have.